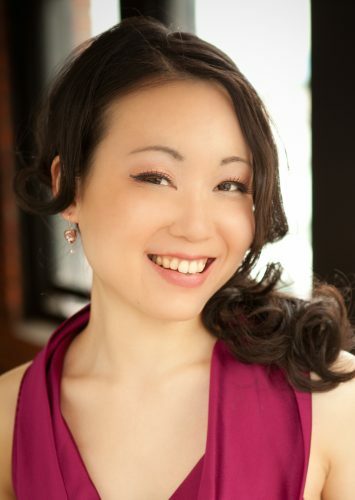 Vancouver pianist and coach Tina Chang has appeared in many recitals throughout Canada and the United States. Currently on the music staff at Vancouver Opera as répétiteur and coach, she was most recently assistant conductor with the company’s production of Nico Muhly’s Dark Sisters. Past engagements include music directorship with Fear No Opera in Victoria, and as pianist and coach with the Atelier lyrique at the Opéra de Montréal. She has toured with the group QuintEssence (whose members include Robyn Driedger-Klassen, Barb Towell, Frédérik Robert and Peter Alexander) to bring Classical music to communities throughout British Columbia. Teaching experiences include being a coach at the Opera Program at University of British Columbia and a faculty position at Dalhousie University where she coached students of various musical disciplines and taught 2nd year Keyboard Skills. This summer will see Tina as coach with the UBC Summer Vocal Workshop, and in the fall, she will be on the music staff at Wexford Opera Festival in Wexford, Ireland where she will assist with Felicien David’s opera Herculanum, as well as music directing Donizetti’s Il Campanello. Past engagements in the United States included a position as assistant coach to Glimmerglass Opera Festival’s productions of Ariadne auf Naxos and Madama Butterfly in upstate New York. Tina has also served as coach and répétiteur at Mill City Summer Opera in Minneapolis for its production of Rossini’s Barber of Seville. as well as the pianist and music director for the San Diego Opera Ensemble where she coached and performed with young professional singers from all over the United States. Summer festival participation include fellowships at the Aspen Opera Theatre Center of the Aspen Music Festival, Music Academy of the West, SongFest and Vancouver International Song Institute (VISI). Tina has served as staff pianist at the Summer Vocal Academy for the Victoria Conservatory of Music, as well as the Interlochen Center for the Arts during their summer session, where she coached various operetta scenes, was rehearsal pianist for multiple choirs and ensemble pianist with the Interlochen Philharmonic. Born in Taiwan, Tina immigrated to Vancouver, Canada with her family when she was nine. She completed her undergraduate degree in music at the University of British Columbia and from there, she went on to complete her Master of Music degree in Collaborative Piano at the University of Minnesota. Her principal teachers include Timothy Lovelace, Kenneth Broadway and Alice Enns.